Somewhere between Barack Obama and George W. Bush is where Trump's foreign policy should rest. EVERY NEW administration sets out initially to distinguish itself from the previous one. This is especially true when the same party reoccupies the White House precisely because the new team must work doubly hard to set itself apart from the previous one. To wit, not only was George H. W. Bush from the same party as Ronald Reagan, but he was his vice president. Consequently, whereas Reagan generally promoted a Wilsonian worldview, the elder Bush immediately cast himself as a realist with a much more professional foreign-policy team than his predecessor. President-elect Donald Trump does not have that problem. He is coming in as a Republican after a Democratic administration. He will not have to try hard to differentiate himself from Barack Obama. The Obama administration was defined by retrenchment and restraint. It brought two brigade combat teams back from Europe, did not intervene in Syria when it might have in 2011 and was slow to respond to Chinese island grabbing in the South China Sea. Time will tell whether this policy was wise or foolish. In any case, the Trump team, in order to show how different it is, will seek to occupy the vast space between Obama’s restraint and George W. Bush’s aggression in Afghanistan and Iraq. The danger is that, in seeking to act more aggressively than Obama against ISIS and less aggressively than the Bush administration in Iraq, Trump will, nevertheless, overcommit somewhere. The deadly attacks on Border Guard Police (BGP) bases in Myanmar’s northern Rakhine State on 9 October 2016 and the days following, and a serious escalation on 12 November when a senior army officer was killed, signify the emergence of a new Muslim insurgency there. The current violence is qualitatively different from anything in recent decades, seriously threatens the prospects of stability and development in the state and has serious implications for Myanmar as a whole. The government faces a huge challenge in calibrating and integrating its political, policy and security responses to ensure that violence does not escalate and intercommunal tensions are kept under control. It requires also taking due account of the grievances and fears of Rakhine Buddhists. Failure to get this right would carry enormous risks. While the government has a clear duty to maintain security and take action against the attackers, it needs, if its response is to be effective, to make more judicious use of force and focus on a political and policy approach that addresses the sense of hopelessness and despair underlying the anger of many Muslims in Rakhine State. Complicating this is that Aung San Suu Kyi has some influence, but under the constitution no direct control over the military. Terror attacks bring people together. That, at least, is what used to happen. But the attack in Berlin has followed a different script, with the gap between those content to wait for the facts and those eager to score political points now wider than ever before. A look back at 48 hours that changed the country. The successful test-firing of the long-range ballistic missile Agni-V for the fourth time is a significant step towards building a credible nuclear deterrence. With this test and the recent commissioning of the indigenously built nuclear submarine INS Arihant, India is inching towards creating a robust and world-class second-strike capability. For a nation sworn to no-first-use of nuclear weapons, a reliable second-strike capability is an absolute necessity. 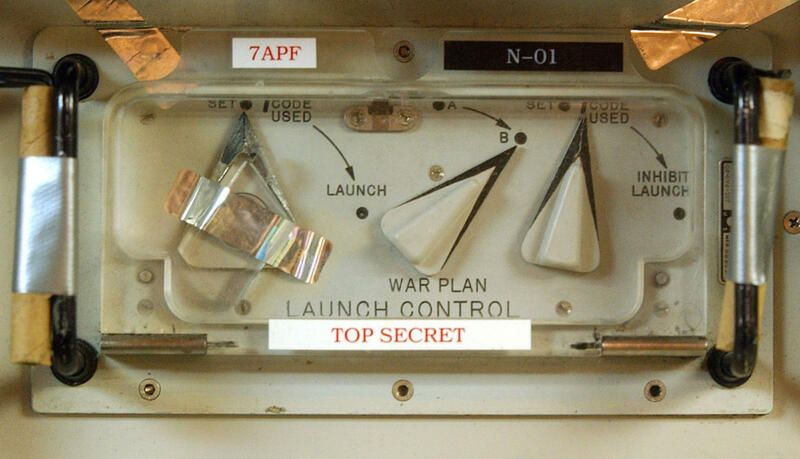 In the worst-case scenario, the country should have the ability to withstand an enemy nuclear strike on its key locations and launch a successful second strike. Agni-V rose up from a canister mounted on a truck stationed at Dr. Abdul Kalam Island, Odisha, and went up a few hundred kilometres before following a ballistic trajectory and splashing down near Australian waters, some 20 minutes after the launch. This was the fourth test of the Agni-V missile, but the second from a canister mounted on a road mobile launcher. With the four tests, Agni-V is now ready for induction into the Strategic Forces Command, which already operates other Agni missiles with a target range from 700 km to 4,000 km, besides Prithvi-II. India’s recasting of the “Look East policy” into “Act East” in 2014 was seen as a way to reorient its foreign policy, and act purposefully towards creating a better relationship with South-East Asian countries. The policy at its core focuses on using India’s eastern border states to improve trade relations with South-East Asia. The weakest link in this grand strategy, however, is the state of the states along the North-Eastern border. India continues to overlook the necessity of a strong border state with institutional capacity to withstand the pressures of being a launch board for a national foreign policy. The border states cannot metamorphosize into a gateway for South-East Asia without any tangible development within the states themselves. Manipur, which shares 355km of its border with Myanmar and remains India’s most economically viable border to the south-east, forms the nucleus of India’s renewed zeal to act east, and therefore requires special focus. Manipur’s contentious merger with India and subsequent land and identity issues have resulted in a cycle of violence and insurgency movements within the state. The lack of competent governance institutions, infrastructure and economic growth has further intensified the inadequacies within the state. 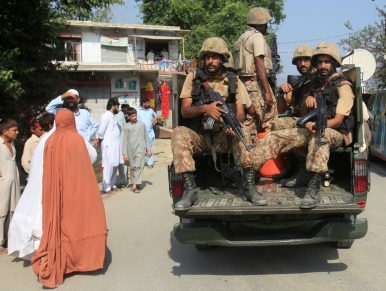 Is Pakistan's National Action Plan Actually Working? The National Action Plan (NAP) was created on December 25, 2014, in reaction to 133 children being murdered by the Taliban. Ostensibly, NAP was designed with the consent of all political parties, and the blessing of both civil and military leadership, as a comprehensive document detailing ideal steps to rid Pakistan of the menace of terrorism and militancy. Two years on, this idealism is tempered by ground realities, the limited ambit of political will, and a tenacious, unrelenting enemy. Thus, Pakistan’s course of action is nebulous, unrealized, and incomplete. The first point in the NAP is the controversial lifting of the moratorium on the death penalty. The problem is that there is no mechanism to selectively apply the lifting of the moratorium to a particular group of death row inmates. Once it is lifted, all on death row must be put to death. During the first 13 months, there was a surge in executions, 345 to be exact, catapulting Pakistan to the country with the second highest number of executions worldwide. This year, that figure has crept up to 419. This impedance in the frequency of executions comes from pressure from civil society and rights groups. The government was mired in scandals earlier this year as it tried to execute a quadriplegic inmate. A scathing report recently also showed that the bulk of executions, an alarming 98 percent, are not related to terror convictions at all. The Chinese Navy seized a US underwater drone as it was about to be retrieved by a US naval vessel approximately 50 nautical miles off the Philippines coast last Thursday. It was the first such seizure by the Chinese in recent memory. By Saturday Pentagon Press Secretary Peter Cook confirmed that Washington had “secured an understanding” that China would return the drone. The Chinese Foreign Ministry similarly told Reuters that the two countries were using military channels to “appropriately handle this issue.” The Chinese Navy returned the drone to US Pacific Fleet on Monday near the location where it was initially seized. 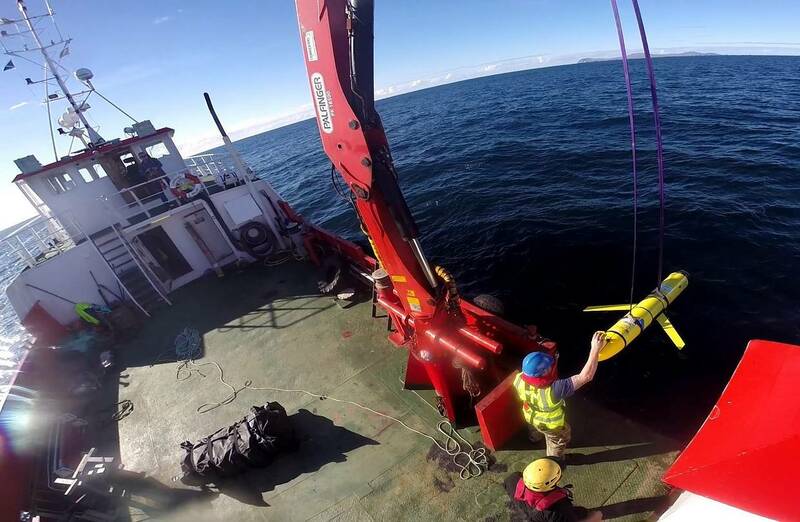 The drone is one of approximately 130 similar underwater vehicles used by the US Navy to collect unclassified oceanographic data, including temperature and depth. China has been actively encircling India and it is no secret that our policy is one of catch up. While the communist state of China has developed superb road infrastructure on its Southeastern border (northeastern periphery for India), we are taking incremental steps. Though recently, the Indian Air Force performed a surreal feat of landing a C-17 Globemaster aircraft in what is called an ‘Advanced Landing Ground’ at Mechuka in Arunachal Pradesh. This does seem to an active step in countering China’s advanced capabilities. There is an oft repeated saying in the military that ‘amateurs talk strategy while professionals focus on logistics.’ The only way troops can be sustained is through roads as supplying by air is too expensive. How remote is Arunachal Pradesh from the mainland India can be guessed from the fact that it takes almost three days from Bangalore to reach Tawang. The experience could be very similar if one wants to reach Tawang from Mumbai, Delhi or Chennai. The different modes of transport are flight to Guwahati, bus journey from Guwahati to Tezpur and finally, a bumpy Sumo taxi ride from Tezpur to Tawang spread across two days. The beauty of pristine hills is mind blowing. But what surprises an average traveler is the poor condition of road that gives access to Tawang. To put things in perspective, Tawang was one of the points at which the Chinese incursion took place in 1962 that led to a humiliating defeat. It is at the easternmost periphery of Arunachal Pradesh’s border with China. The ‘History Problem’ in Sino-Japanese Relations: What’s the Problem? The so-called history problem has long been seen by academics and pundits as a key obstacle to the improvement of bilateral relations between China and Japan. In the academic literature, the problem is typically described as consisting of a number of sub-issues related primarily to Japan’s attitude towards its invasion of China in the 1930s and 1940s, an attitude that many regard as insufficiently repentant. In this literature the meaning of the history problem tends to be understood as fixed rather than as something that changes over time. Even though numerous discussions of the problem exist and many observers agree on its importance for Sino-Japanese relations, the question of how the history problem itself is understood within Japan and China has received surprisingly scant attention. This article, by contrast, argues that while the specific sub-issues viewed as being part of the problem are indeed important, currently the most fundamental and overlooked aspect of the history problem in Sino-Japanese relations is the lack of agreement on what exactly the problem is. Xi Jinping sees the Soviet Union as a cautionary tale. But Beijing is learning all the wrong lessons. It’s been 25 years since the fall of the Soviet Union, and in that time the Chinese Communist Party (CCP) has generated tens of thousands of internal papers, roundtables, and even documentaries on the issue. Like most intellectual products in the mainland, 95 percent of these have been worthless regurgitations of the political line of the day by mediocre careerists. But the official angle on the collapse, which once seemed to be pushing the country toward reforms that were more sensitive to public needs and opening the economy, has shifted sharply in the last few years. Today, the lessons Beijing is drawing seem likely to keep sending it backward. It’s no surprise that the party is obsessed with the collapse of its former rival and ideological partner. The most bizarre thing about the brief spate of articles in 2012 and 2013 describing the newly appointed CCP general secretary, Xi Jinping, as a potential Mikhail Gorbachev for China was that some of the writers seemed to think they were paying him a compliment. In China, though, Gorbachev is seen not as a far-sighted reformer but as a disastrous failure, a man who led his country, and his party, to national calamity. That’s not an unfair view: China has no desire to lose a quarter of its territory, watch GDP drop by 40 percent, and see male life expectancy cut short by seven years, as Russia did in the 1990s. ERBIL, Iraqi Kurdistan — On a clear and chilly day in mid-December, Iraqi counterterrorism service (CTS) troops were fighting to clear Islamic State fighters from the Karama and Sumer districts in eastern Mosul. Like many of the other 38 neighborhoods of eastern Mosul that CTS officers said they had retaken, Karama had previously been reported liberated numerous times in local media since early November, and fighting had been ongoing in Sumer for days. Meanwhile, beleaguered Iraqi Army 9th Division troops — one of the only Iraqi security forces (ISF) units inside Mosul — were withstanding another withering Islamic State counterattack after overextending themselves in the Wahda neighborhood the week before. Above them flew an orchestra of airplanes from nine countries. Strike aircraft with names like Eagle, Raptor, Harrier, Hornet, Typhoon, and Apache patrolled the skies, 43 in total. Further filling the airspace were a dozen drones and other support aircraft, including E-3 and E-4 airborne command and control planes, EC-130H electronic attack aircraft, Italian C-27J electronic jammers, and a midair tanker fleet, which throughout the day delivered more than 430,000 gallons of gas to the warplanes in the sky. The use of child soldiers is a practice that is as old as the history of warfare itself. Since its founding, the Islamic State has embraced the tactic, but has added a modern twist with the use of social media to gather young recruits into the radical jihadist movement. And as international pressure has squeezed the group on the battlefield, it has increasingly used the children under its sway to carry out combat operations - even suicide bombings. On Dec. 16, German news outlets reported that a 12-year-old German-Iraqi boy was arrested after twice trying and failing to detonate a homemade explosive device near a Christmas market in Ludwigshafen, a city on the Rhine River across from Mannheim. A passer-by noticed an unattended backpack and alerted police, who found that it contained a glass jar filled with gunpowder. A wire protruded from a hole in the lid of the jar, suggesting that the boy was trying to detonate the gunpowder using a battery or other source of electricity. The jar bomb, covered with nails, was clearly intended to hurt or kill people. Despite its relatively simple design and small scale, had the boy managed to ignite the device in a crowd, it could have done serious damage. 2016 has been a year of fundamental change for Turkey. In Syria, the threat of ISIS and the expansion of Kurdish groups along the Turkish-Syrian border has prompted Ankara to commit forces to the country in support of friendly rebels. In Iraq, the Turkish base at Bashiqa just north of Mosul has pushed ties with Baghdad to a historic low over Iraqi Prime Minister Haider al Abadi’s protests at Turkey’s military presence in Iraq. Meanwhile, to the north, relations with Russia have slowly recovered from the downing of a Russian fighter jet over Turkish airspace in November 2015, but the assassination of Russia’s Ambassador to Turkey in Ankara this Monday risked derailing that rapprochement. Finally, the attempted military coup against President Recep Tayyip Erdogan on July 16th of this year transformed the political landscape in Turkey. The purge of “coup plotters” from Turkish institutions and civil society has led to the suspension, detention, or arrest of over 110,000 officials, and accelerated a deep polarization in Turkish society. According Senior Fellow at the Washington Institute and Cipher Brief expert, Soner Cagaptay, this polarization is so severe that “Turks now live in two different realities” – those who stand with Erdogan, and those who hate him. After almost three years and 10,000 deaths, Russia’s military intervention continues to define all aspects of Ukrainian political life. The conflict and the Minsk peace process are stalemated, but few days pass without deaths along the line of separation. The deadlock hurts Ukraine most. Indeed, Moscow is close to its main aim: destabilising Ukraine and influencing its policy choices. Russia’s victory, however, would be more than local. The trial of strength in the Donbas is also with the U.S. and European Union (EU). Success would reinforce a signal that Russia will defend its perceived national interests by any means necessary. Ukraine still has a good chance of prevailing in the long term, but only if it roots out the corruption that is eating away support for the Poroshenko government. The U.S. and EU must help on both fronts: pressing Kyiv harder for reforms while using strong diplomacy with Russia, including maintaining sanctions, so as to leave President Putin in no doubt he will face firm resistance until he withdraws completely from eastern Ukraine. A record 65 million people have been displaced from their homes, mostly by war. Half are children. Crisis Group looks at the UN’s list of the top ten countries driving the exodus to explain what’s happened. When world leaders gather in New York on 19 September for summit meetings hosted by the UN and the U.S. to tackle the global refugee crisis, they must redouble their efforts to resolve those conflicts driving the global exodus and to prevent new conflicts before the emergency is compounded. Additionally, leaders should commit to resettle at least 10 per cent of the world’s refugees annually, share responsibilities more equitably, increase support for front-line states facing the greatest challenges, and respect fully the rights of refugees. The number of refugees and internally displaced now stands at more than 65 million, the largest figure ever recorded. According to the UN Refugee Agency, more than half of the world’s refugees come from just three countries ravaged by conflict – Syria, Afghanistan and Somalia (these figures do not include the 5.2 million Palestinians registered by the UN Relief and Works Agency). For front-line states such as Turkey, Pakistan, Lebanon, Kenya and the Democratic Republic of Congo, the pressures caused by massive influxes of people can be overwhelming. The cost to future generations is even more alarming: half of all refugees in 2015 were children. Temperatures in the Third Pole region have increased by 1.5 degrees – more than double the global average. IN RECENT years, there has been an evolution in the understanding of the nature of security, both national and international. With the collapse of the Soviet Union, and with it the definition of security as exclusively a military affair, it is becoming clear that threats can come from nature, from technology and from the failure of traditional political structures. Consider natural threats: first and foremost, climate change and global warming. Despite flat-earther denial, senior military commanders and serious security students agree that appreciable rises in sea levels will be hugely destabilizing in many parts of the world, including in American coastal urban areas. Given widening fractures in the traditional governing consensus, and the power of energy and developmental lobbies, there is little hope for mature policymaking on carbon taxes or other macrodepartures in the short term of a single administration. A second natural threat is pandemics. Serious plans are being thought up for dealing with a highly contagious viral outbreak that can spread through intercontinental air travel across continents in a matter of hours. Those plans include quarantining outbreaks, stockpiling immunizations and rapid-response medical SWAT teams. They are, of necessity, multinational in nature. Confounding these efforts is the reality that a naturally occurring viral outbreak will look very similar to one created by the hand of man in a planned biological attack. Here’s the thing: the Modi government has done well to break a norm that had so become an entitlement that it had begun damaging the incentive structures of the the military leadership. The sordid saga of Gen V K Singhfive years ago revealed that the army’s leadership was spending undue energy on manipulating promotions and appointments to ensure desired lines of succession. Any organisation whose leadership is engaged in such machinations is likely to suffer loss of professionalism. By elevating seniority to a sacrosanct principle, we might well have depoliticised appointments at the level of the political leaders picking the military leadership. However, it does not mean we have depoliticised appointments within the military establishment. Because of secrecy and respect that the armed forces enjoy, the ‘politics’ within the armed forces is generally invisible to the public. That doesn’t mean it doesn’t exist. Just go back and look at the reports that emerged five years ago during the Gen V K Singh’s controversy. Defence Minister Manohar Parrikar sanctions purchase of critical equipment worth Rs 300 crore of Indian Army Special Forces, but sources say the elite units will still fall behind their American and Israeli counterparts. Defence Minister Manohar Parrikar on Friday cleared a Rs 300-crore proposal to buy critical equipment for the Indian Army's Special Forces, but sources say the elite units will continue to lag by a distance from their American and Israeli counterparts. The globe's top arms companies sold $370.7 billion worth of military equipment last year, according to the Stockholm International Peace Research Institute (Sipri). In America and Ukraine, Russian intelligence used the same fundamental weapon: Our human weakness. This week, cybersecurity researchers produced compelling new evidence linking Russia’s GRU military intelligence service to the hacks of Democrats during the 2016 campaign. The findings, released in an 11-page report by the firm CrowdStrike, showed that the same group of hackers who broke into the Democratic National Committee and Clinton campaign chairman John Podesta’s inbox had also backdoored a mobile app used by Ukrainian soldiers to target artillery, with devastating results. Democrats, looking for proof that the Kremlin had indeed hacked the DNC, saw the report as partisan ammunition. The researchers were able to identify shared digital fingerprints to show that the same culprits were behind both set of intrusions, and thus connect the hacks to the GRU, Russia’s top military intel arm. But that wasn’t the most interesting, or surprising, aspect of CrowdStrike’s report. What was stunning was how it revealed a level of detail into modern warfare that we have rarely, if ever seen before. With weeks to go in his tenure, President Obama on Friday moved to end the controversial “dual-hat” arrangement under which the National Security Agency and the nation’s cyberwarfare command are headed by the same military officer. Pressure had grown on Obama to make such a move on the grounds that the two jobs are too large for one person to handle, that the two organizations have fundamentally different missions and that U.S. Cyber Command, or Cybercom, needed its own leader to become a full-fledged fighting force. “While the dual-hat arrangement was once appropriate in order to enable a fledgling Cybercom to leverage NSA’s advanced capabilities and expertise, Cybercom has since matured” to the point where it needs its own leader, Obama said in a statement accompanying his signing of the 2017 defense authorization bill. The network era has changed the rules of arms buildups. A security dilemma occurs when one nation’s efforts to improve its security prompts other nations to take similar actions — often provoking arms races, instability, even war. But while such dilemmas have typically led to more-or-less balanced buildups on all sides, today’s U.S. military spending patterns are driving adversaries in a different direction: towards cheaper, cyber-focused means of undermining a network-dependent force and the society it protects. The way out of this cybersecurity dilemma must be equally unconventional: continue to establish cyberspace rules of engagement, improve and increase government-industry partnerships, and strengthen oversight and regulation of cyber-enabled technologies. Among the actors working to exploit new network-enabled technologies and the American dependence on them are the Islamic State, al-Qaida, Russia, and China, but perhaps the archetypal example is Iran. Its political and defense leaders realize that they cannot compete militarily against the United States, and stand little chance against Israel, a U.S. ally, in conventional combat. Iran also recognizes that it is in many respects outgunned by its regional rival, Saudi Arabia, and has on occasion sought to redress its differences through hostile actions in cyberspace.